The former GE CEO and Chairman will make an undisclosed investment in the EHR vendor and purchase approximately $1 million in stock. 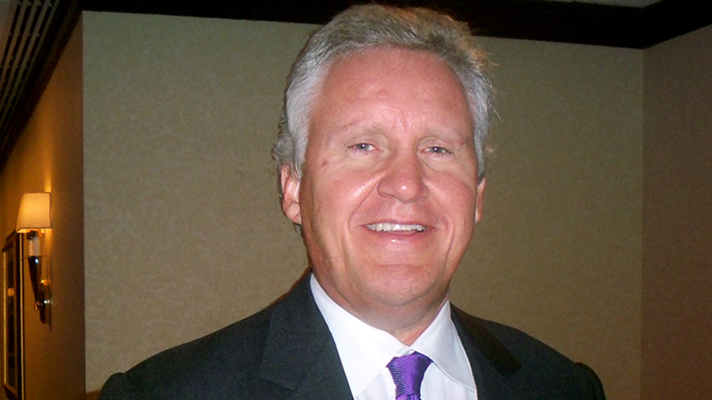 Athenahealth appointed former GE CEO Jeff Immelt as chairman of its board of directors. Immelt’s appointment is part of a series of strategic initiatives athenahealth started in 2017 to create a more focused and efficient company, drive increased levels of profitable growth, and enhance shareholder value after activist investor Paul Singer took a 9.2 percent stake in the cloud-based EHR company. That strategy to reduce expenses by $115 million also involved what athenahealth CEO Jonathan Bush called a “one-time tightening.” That included selling the corporate jet and a management restructuring wherein athenahealth said it would bring in a new president and chairman, two roles Bush previously held along with being athenahealth chief executive officer. Immelt, who worked his way up to GE CEO under Jack Welch, is recognized for driving the first wave of digitization across healthcare enterprises and the healthcare industry at large, as well as across other industries. “We are thrilled to welcome Jeff as the new independent chairman of the athenahealth board,” Dev Ittycheria, chair of the board’s Nominating and Corporate Governance Committee, said in a statement. Ittycheria added the board had considered a number of highly qualified candidates. Immelt stood out for helping to grow GE Healthcare from a $3 billion enterprise to a $20 billion innovator, Ittycheria noted, adding that GE Healthcare diversified its portfolio from imaging to life science and digital services, building leadership positions by delivering valuable solutions to providers and patients. “Jeff shares our vision for more connected, efficient, and human-centered healthcare,” Bush in a statement. He added that Immelt’s appointment as chairman is one of many important steps the company has taken over the past year to boost the board and management team and also to strengthen and focus operational and go-to-market strategy. Athenahealth in late November appointed Marc Levine its new CFO to replace interim chief financial officer Jack Kane, who took over after Karl Stubelis was removed from that post. The EHR vendor has yet to name a new president. With the addition of Immelt, the athenahealth board has been expanded to 11 members, including nine independent directors. Athenahealth also said that Immelt will make an undisclosed financial investment in athenahealth, and plans to purchase approximately $1 million of athenahealth common stock in the open market. Immelt’s appointment is effective immediately.